One of the most amazing things about receiving God’s love (and I mean really receiving it- taking it in, letting it sink into your soul, walking in the truth of it, living loved – not abandoned) is that it gives you courage. Courage to step out of your comfort zones. Courage to change your language, the way you talk to yourself and others. Courage to not give in to old habits, coping mechanisms or escape tactics. Courage to face your feelings and your issues. Deal with them honesty and work through them because you are loved– completely, unconditionally and fearlessly. When you grasp this, even just a bit of it, you will begin love others fearlessly and let go of fear for yourself. You begin to stop focusing on yourself and focus on others instead. You make decisions according to fearless love instead of fearful self-centered love. You will give more than you get and find that you have more to give than you ever imagined. “My dear children, let’s not just talk about love; let’s practice real love. This is the only way we’ll know we’re living truly, living in God’s reality. 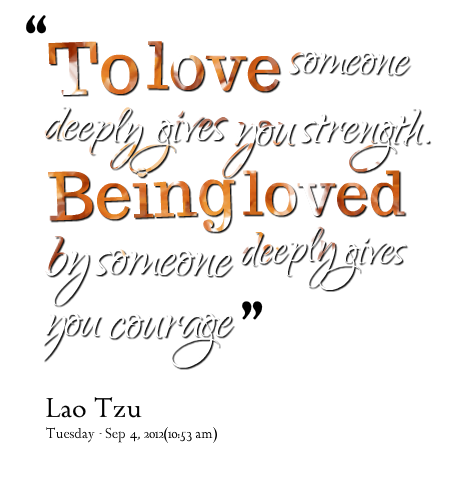 Be loved fearlessly by God and begin to love others fearlessly. That is when you are truly living in God’s reality. Why would you want to be anywhere else? There is much truth here. I am going to pray on this further and bask in what the Lord has to say about His vast and almost incomprehensible love.